Collect and share your meeting materials quickly and easily. Researchers share ideas and findings at academic meetings, producing presentations, posters, and conference proceedings. 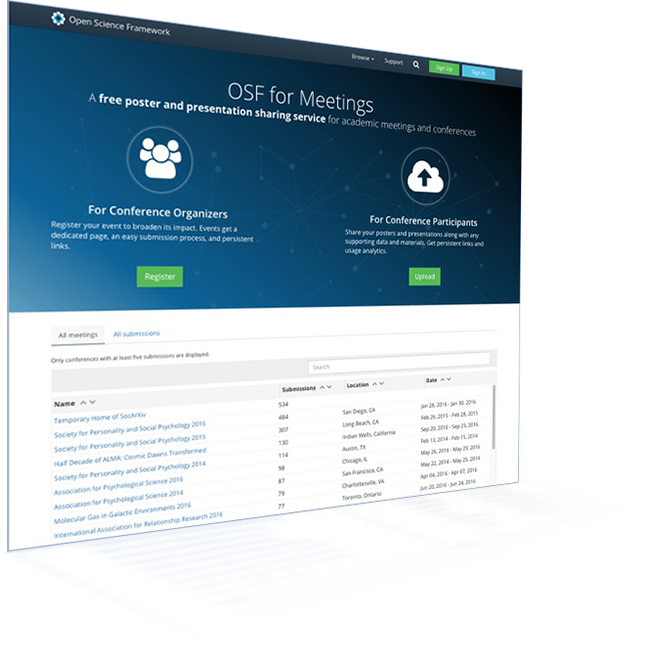 OSF Meetings is an easy way to share this research content, providing conference organizers with a branded landing page, simple submission process, and simple search and discovery. Researchers who share materials can add supplementary data, code, preprints, or other material alongside their poster or slides. All meeting materials are archived and available for future reference.